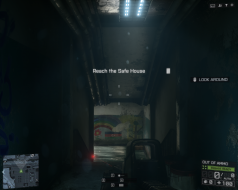 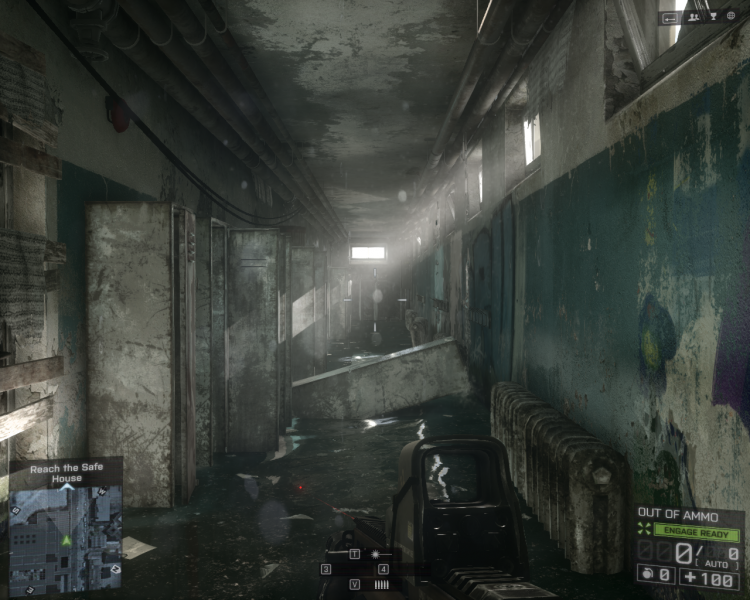 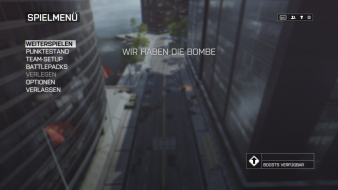 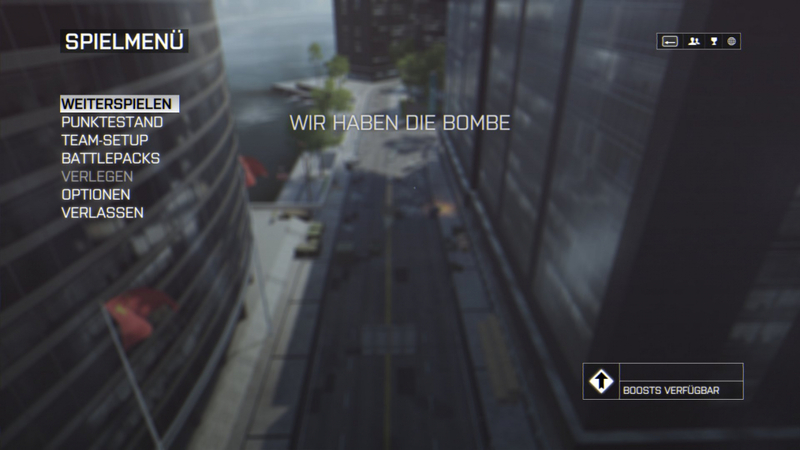 Battlefield 4 features several changes compared to its predecessor. 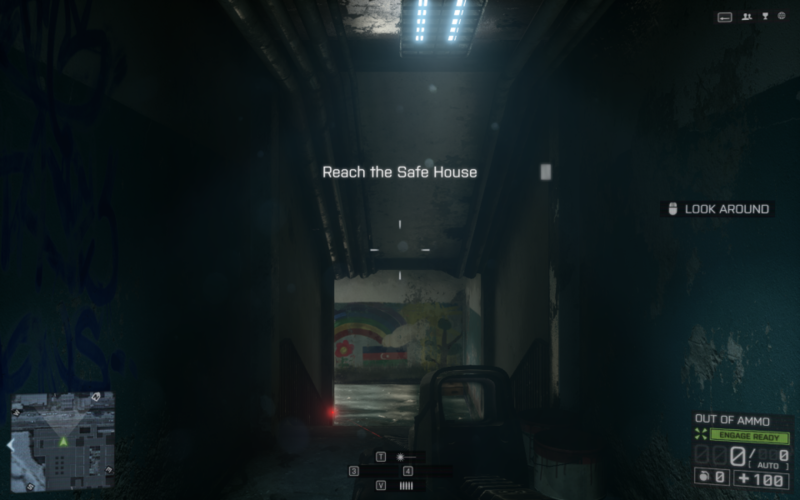 The game's heads-up display is much the same, composed of two compact rectangles. 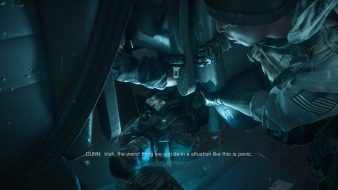 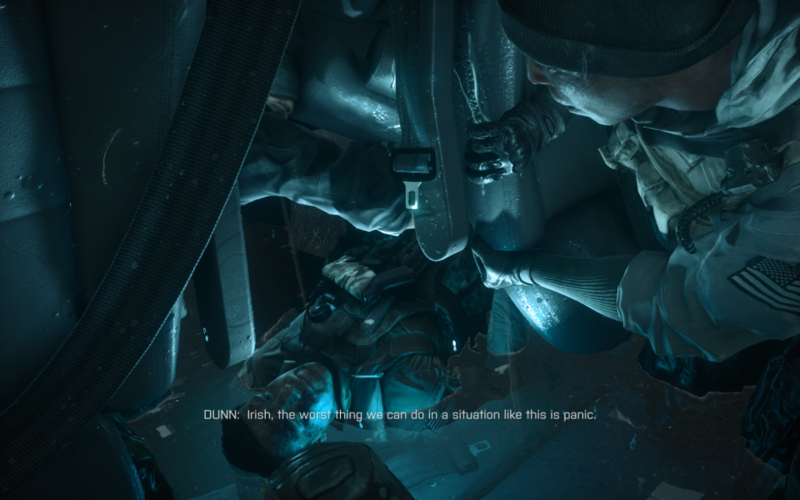 The lower left-hand corner features a mini-map and compass for navigation, and a simplified objective notice above it; the lower right includes a compact ammo counter and health meter. The mini-map, as well as the main game screen, shows symbols marking three kinds of entities: blue for allies, green for squadmates, and red/orange for enemies. 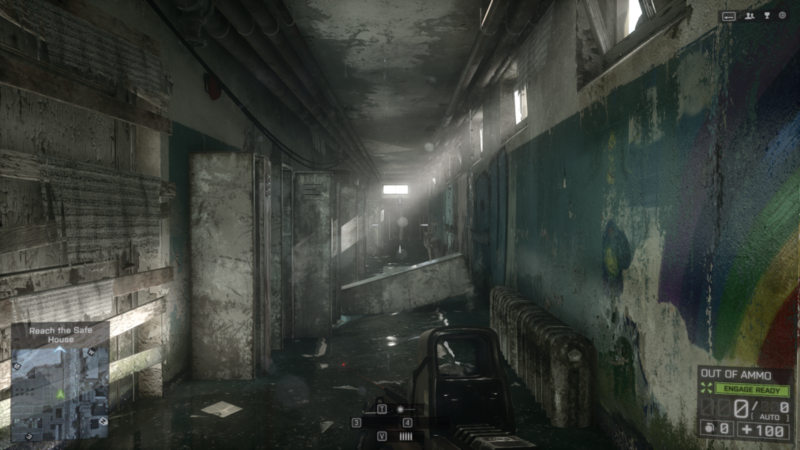 Players can now use dual-scoped weapons, including weapons with different firing modes (e.g. single shots, automatic fire). 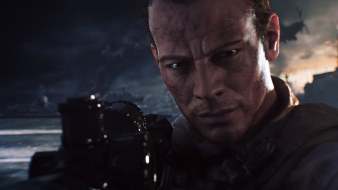 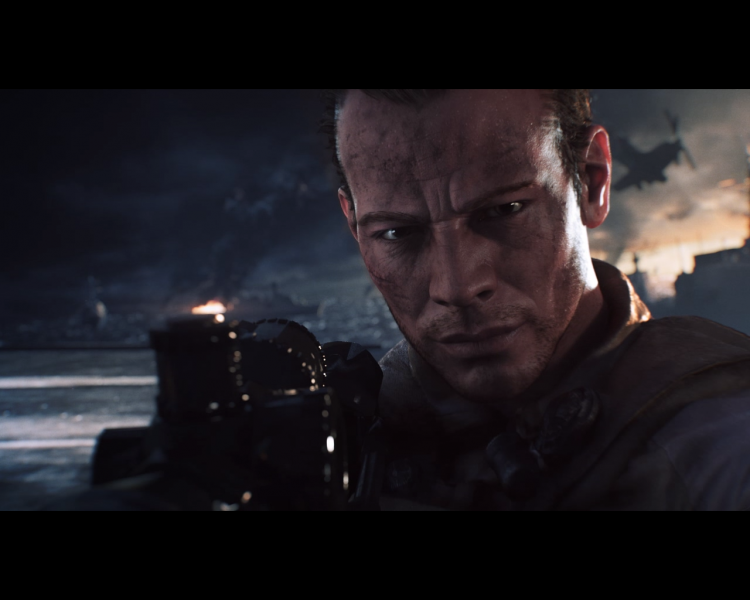 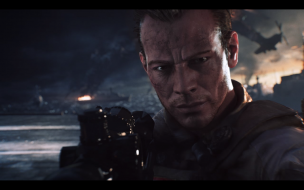 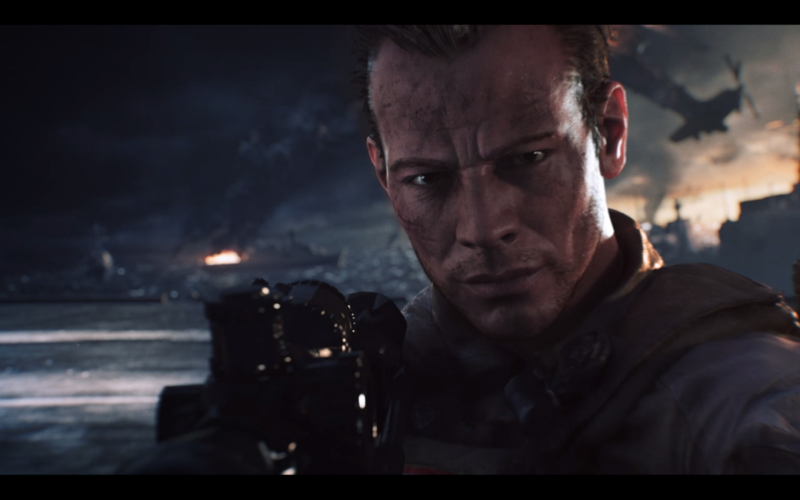 They can now "spot" targets—marking their positions to the player's squad— in the single player campaign (a first in the Battlefield franchise) as well as in multiplayer, allowing teammates to either suppress or eliminate them. 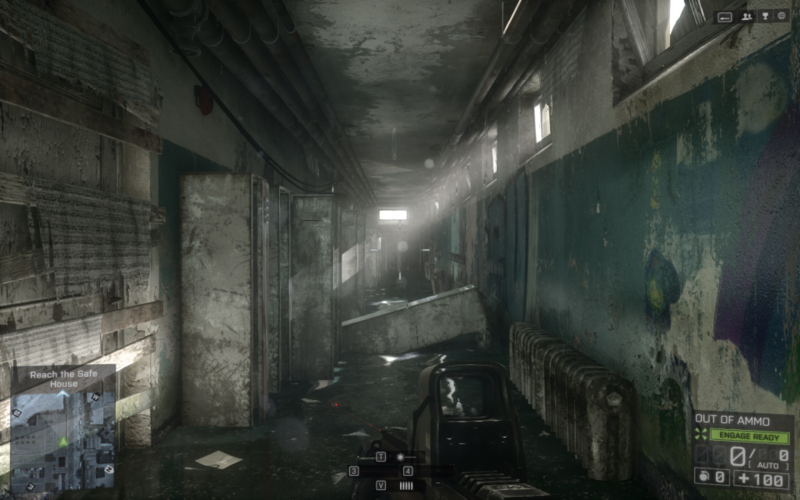 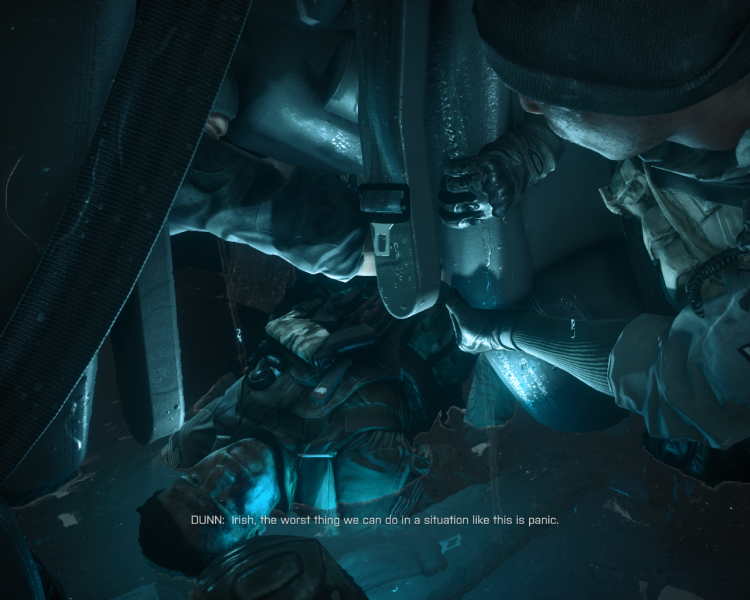 In addition, players will have more survival capabilities, such as countering melee attacks from the front while standing or crouching, shooting with their sidearm while swimming, and diving underwater to avoid enemy detection. 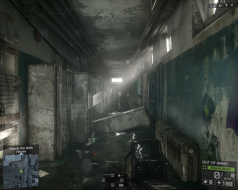 The single-player campaign will see the player using vehicles to quickly traverse mini-sandbox-style levels. No issues in Multiplayer - FOV slider available.